Ryan is charismatic and enigmatic. He's incredibly smart but doesn't know who Hitler is. He's an expert on the night sky but doesn't recognise a pizza. All the girls are attracted to him, but he only seems to be interested in Eden. And while Eden's not complaining, she can't quite work out what he sees her. So far so 'girl meets boy, girl likes boy'. 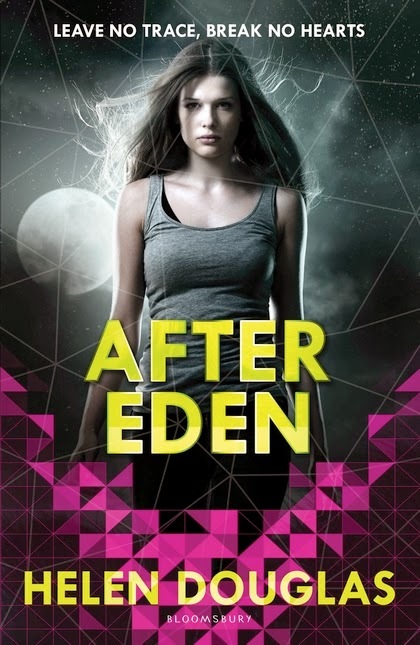 Until Eden finds a book of Ryan's that turns her world completely upside down. It's a biography of her best friend Connor — from the future. In it, she learns that Connor discovers a planet, which he names Eden, that guarantees him a long life of fame and fortune when it's discovered that it can support human life. But it's not all good news. When Eden confronts Ryan, she learns that he's come back in time to prevent Connor from ever making that initial discovery. For there is something about the planet Eden that has deadly consequences for Earth — and the future of humanity rests on Ryan and his family being able to alter the past. Astronomy, environmental concerns and the emotional turmoil of the teenage years are all deftly woven into an intriguing and entertaining story that will continue later this year with the publication of Chasing Stars.